A Divorce and Family Law battle can be a difficult and trying time. Furthermore, many issues in Divorce and Family Law have mandatory rules and procedures that must be followed to comply with the law. Although you may want to try to do it on your own, there are times when it is better to have an attorney to guide you through these complex legal processes. The attorneys and staff at Mountain View Law Group understand that the issues involved in these types of cases are very important to our clients. That is why we have a Team of experienced and specially trained attorneys and staff that work with each client to ensure that their needs are being met and their rights protected. If you have tried to resolve issues in your divorce or custody battle by yourself but are getting nowhere, you recognize that the issues are too complex to handle on your own, or, if you and the other party have reached a mutual agreement to settle your case and need someone to help with the complex paperwork, we can help. Our attorneys and staff are specially trained to assist you in matters such as contested and uncontested divorce, divorce modifications, child custody/paternity, parent-time disputes and child support issues. We also have attorneys that represent clients in adoptions and guardianships of adults and minor children. If you need assistance during this trying time, call our office today at (801) 393-5555 to set up an appointment with one of our divorce attorneys. A contested divorce is when you and your spouse are unable to reach a full agreement on all of the divorce related issues, such as child custody, parent-time, division of personal property, division of land and homes (commonly referred to as “real property”), allocation of marital debt, retirement and alimony. In such a circumstance where issues are in dispute, it is highly probable that these issues must go before the Court and you and your spouse must attend mediation to see if settlement can be reached. In most cases, our office is able to help our clients reach the result they need without a potentially expensive and time consuming trial. An uncontested divorce is when you and your spouse are able to reach a full agreement on child custody, parent-time, division of personal property, division of real property, allocation of marital debt, retirement and alimony. Because you have reached an agreement, there is no need to go before the Court or attend mediation. Upon verifying the terms of your agreement, our office will prepare the necessary documents. Once the documents have been drafted, you and your spouse will each have the opportunity to review and sign the documents. Our office will then file the documents with the appropriate court at the appropriate times to ensure that the process goes smoothly and quickly. Filing an uncontested divorce is often beneficial because it significantly shortens the time needed to finalize the proceedings, it is less costly and the parties work together to craft their own Decree of Divorce, better ensuring that both parties are more satisfied with the outcome. As a general rule, if both parties can be reasonable and fair and work together, an uncontested divorce is ideal; however, if one or both parties cannot be reasonable and fair and/or the parties cannot work together, a contested divorce is necessary. How can I Establish Custody if the Other Parent and I were Never Married? When you and the other parent of your child were never married, custody can be established by filing a Petition for Paternity. (Note: Even if a paternity test has been conducted, you must still establish legal paternity.) In a Petition for Paternity, all issues relating to the minor child are addressed such as physical and legal custody, parent-time, child support, payment of medical and child care expenses, insurance coverage and tax exemptions. As with divorce proceedings, paternity proceedings can be either contested or uncontested. If contested, the parties must attend court hearings, mediation and possibly a trial to resolve the case. However, if the parties agree on custody, parent-time, child support, payment of medical and child care expenses, insurance coverage and tax exemptions, the parties should be able to proceed on an uncontested basis. If uncontested, the process will be faster, more cost effective and the parties are more likely to be happy, as they have drafted their own terms and agreements. As with all Family Law matters, there are mandatory rules and procedures that must be followed to comply with the law. In Utah, there are two types of child custody; (1) Legal custody and (2) Physical custody. Legal custody is the ability to make legal decisions regarding the minor child(ren). These include decisions related to education, religion, medical care and travel. One party may have sole legal custody, meaning that they are allowed to make all of the legal decisions for the child(ren) without the need to consult with the other parent. If the parties have joint legal custody, the parties must consult with each other before making a legal decision which affects the child(ren). Physical custody deals with the question of with whom the child(ren) physically live. Physical custody is separated into three different categories under Utah law. Sole physical custody is where one parent, known as the custodial parent, has the child(ren) for the majority of the time (non-custodial parents has less than 110 overnights with the child(ren)) with the non-custodial parent being entitled to no less than minimum parent-time as outlined under UCA § 30-3-35 and § 30-3-35.5 (as applicable). Joint physical custody is where the parents try to equalize the amount of time they each spend with the child(ren). Custody becomes Joint custody when the non-custodial parent has the child(ren) for at least 111 overnights per year. Weekend and holiday parent-time are calculated into the number of overnights with each parent. If the parties agree to joint custody or it is ordered by the Court, the parties must work together to develop a parent-time schedule that is convenient for both parties and that is in the best interest of the child(ren). Since joint custody allows for more time with each parent, such an arrangement is not feasible if the parties live a great distance from each other or when the parents cannot or will not act civilly towards each other. In joint custody situations, the Court will take into consideration the fact that each party is providing more for the child(ren)’s daily needs. As such, child support is calculated according to the number of overnights each parent has with the child(ren). Split physical custody is where the parties have more than one child and the parties have agreed to each take sole physical custody of at least one of the children. Split custody is very rarely awarded by the Court. Only in those situations wherein the parties specifically agree to such a custody arrangement and the Court finds that the split custody arrangement is in the best interest of the children will the request be granted. Split custody arrangements are seldom utilized as State law discourages the separation of siblings. When and How Can Custody be Changed? An order of the Court, awarding custody to one or both of the parties, may be modified granted that the requesting party can show that certain requirements have been met. The party must show (1) that a “material and substantial change” has occurred since entry of the order, and (2) that the change would be in the “best interests” of the child(ren). A “material and substantial change” does not require a lot of explanation as it is fairly self-explanatory. Basically, the Court is going to require the moving party to prove that an event occurred in the parents’ or child(ren)’s lives, that was so significant that it necessitates a change in custody. Examples of a material and substantial change may be that the parents have remarried, a parent has moved to a new city, the child needs to change schools or one of the parents is incarcerated. In Utah, child support is statutory and is based upon the combined gross monthly incomes of both parents. There are very specific laws regarding how each parent’s income will be calculated and regarding what happens if a parent is self-employed, or is unemployed or under-employed for their experience or training level. Child support is also based upon the type of custody arrangement established. The parents may agree to a higher amount of child support than is required under Utah law; however, the Court will very rarely, if ever, enter a Child Support Order requiring a parent to pay less than the statutory amount. When and How can Child Support be Changed? In Utah, the law clearly states that one of the parties should pay child support to the other party. As lives and jobs change, so does income. Accordingly, a child support amount that was appropriate when the divorce was filed, may not be correct a few years later. For this reason, the Court allows the parties to periodically modify the child support amounts. There are two types of modifications: first, a request made more than three years after the divorce and, second, a request made less than three years after the divorce. If the parties have been divorced more than three years the party requesting the modification will need to show that: there is more than a 10% difference between the amount ordered and the new amount; the difference is not due a temporary event, and; the proposed amount is consistent with the statutory guidelines. If the parties have been divorced less than three years, the Court will require the moving party to show that there is more than a 15% difference between the amount ordered and the new support amount and that there has been a material change in the parties’ lives. Said changes can include changes to: custody; a parent’s employment potential or ability; the cost of health care; the medical needs of the child; the parent’s responsibilities to care for a third party, and; the wealth or assets of one of the parties. How Much Parent-Time with my Child(ren) am I Entitled to in a Sole Custody Situation? Although the Court prefers for parents to decide between themselves what type of parent-time schedule to follow, the Court understands that it is not always possible. As such, there is a minimum parent-time schedule provided under UCA § 30-3-35 and UCA § 30-3-35.5 to help you and the other parent avoid conflict. Under Utah law, the amount of parent-time you receive with your children depends on their age. 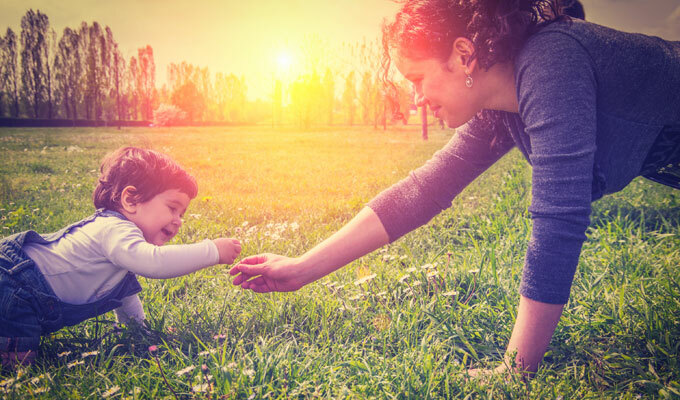 For infants and toddlers, parent-time for the non-custodial parent is more limited; however, as the child gets older, Utah law provides for more parent-time with the non-custodial parent. Once the children reach age 5, the non-custodial parent is entitled to parent-time every other weekend, one weekday evening per week and holiday parent-time as outlined under UCA § 30-3-35. Although Utah law provides a guideline for parent-time, it is always better for everyone involved if the parents can reach a mutual agreement on this issue. When is Alimony Ordered and How is Alimony Determined? Alimony is not awarded in all cases and the Court is not required to award alimony in a divorce case. Whether or not alimony will be awarded, and the amount of alimony that might be awarded, is determined based upon the individual facts of each case. When determining if alimony is appropriate and the amount that should be paid, the Court will consider a number of factors. If the parties cannot agree upon whether alimony is appropriate and, if so, upon an alimony amount, the Court will make the determination. The point of alimony is to attempt to equalize the standard of living for each party and so the Court must take into consideration various things such as: the length of the marriage; the respective incomes of both parties; each party’s monthly expenses; the payor spouse’s ability to pay alimony; and the lifestyle that each of the parties were accustomed to during the course of marriage. Alimony may be ordered paid for the same length of time as the parties’ marriage, unless the party receiving alimony remarries, cohabitates in an intimate relationship or either party passes away. When the parties go to mediation, they have the opportunity to negotiate between themselves how their debts and assets should be divided. As long as the parties consider the division to be fair, the Court will typically sign-off on the proposed distribution. This is the ideal outcome, as the parties have reached the agreement through negotiation. If the parties are unable to come to an agreement as to how the debts and assets will be divided, the Court will take on that task during trial. As the Court has a finite time to hear all of the evidence, and issue a decision, a final determination on these issues is unlikely to be what either of the parties wanted. To the contrary, the Court will give a larger portion of the debt to the party that has more income or income potential and will divide the assets so that each party receives one-half of their value. An example would be the Court giving each party one-half of the bedroom furniture. The Court doesn’t care if things match, it only cares that each party receives one-half of everything. How Long Does a Divorce or Paternity Action Take to Complete? The length of time between the filing of the initial pleading and the filing of the final decree really determines on whether or not you and your spouse are able to work together. An uncontested divorce, wherein the parties are working together to resolve the issues, typically takes a little over 90 days. A contested divorce, wherein the parties are in disagreement on some or all of the issues, will typically run on for a year to 18 months, or longer if the parties are determined to fight about the issues. How Much Does a Divorce or Paternity Action Cost? The total cost you will pay for a divorce/paternity action depends on many factors, including the complexity of the facts of the case, whether the parties are willing to work together, whether the case is contested or non-contested and whether you and the other party are able to reach a settlement agreement. At Mountain View Law Group we strive to make things as cost-effective for our clients as we can. Ultimately, the final cost rests on the parties involved and their ability to effectively communicate their wants and needs and their respective ability to find common ground on the disputed issues. Call Mountain View Law Group at 801-393-5555 for a Free Consultation with an Experienced Divorce and Family Law Attorney.